Performance: Tisanos is designed to offer a surface with an elevated degree of safety, year after year, in any climatic condition. Environment: Tisanos systems consist of 100% non-toxic materials. 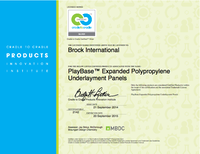 The Play Base component is made from a 100% recyclable material and is tested to the world’s most stringent environmental standards. 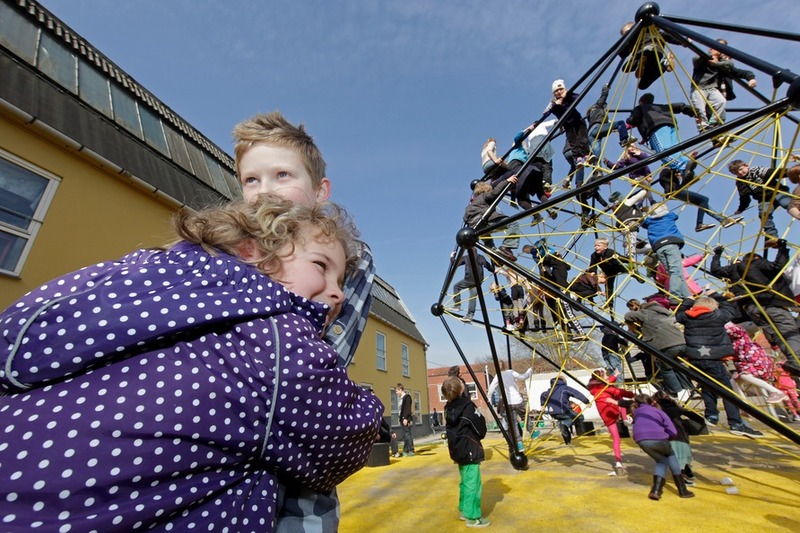 Drainage: The vertical and lateral drainage capability of the Tisanos Systems results in a reliable, efficient draining play area, while also addressing water storage for storm water management. Design: Tisanos Systems not only provides shock absorption, but acts as a thermal insulation and drainage layer that can be installed over permeable or impermeable base constructions. Installation: Tisanos is a dimensionally stable system that can be installed in virtually any climatic condition. Tisanos systems install with maximum precision using a single layer of the patented Play Base system. Tisanos artificial turf installs quickly and easily and is filled with graded sand for stability and added safety. Quality Assurance: Tisanos components are manufactured in ISO-certified facilities, will not decay or degrade over time and are resistant to bacteria, fungi and chemicals. Construction: The Tisanos system can be installed on any suitable base construction including concrete, asphalt, compacted sand or compacted crushed stone bases. An example cross section with a compacted sand base is illustrated here below.